When people look for places to shop, they don't just see if a store has what they want to buy. Prices aren't the top priority either. Instead, whether consciously or not, they look at the physical aspects of the establishment. If it doesn't look like the type of place they'd like to enter they don't go inside, and the chance to make a sale is lost. Most store owners and managers realize the importance of things like store cleanliness and a clutter-free entrance. These, however, are just two of the things people need to see in order to decide to go in. The other big thing is working lighting. Are Dead Lights a Sign of a Dying Business? Many potential customers will assume that a store or other business is on its way out if there are sporadic dark fixtures in sight. The idea that the company can't afford light bulbs immediately comes to mind. Then, a cascade of other bad ideas follow. In the end, people who see failing lights are likely to just pass by. 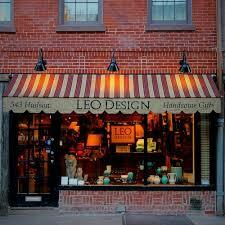 Many businesses end up with random dark lights because it isn't any particular persons main job to take care of them. This makes it so that no one wants to stop doing their "real" job to change bulbs, repair failed fixtures, check fuses, or anything else like that. For this reason, it's a good idea to hire a lighting maintenance service. For the service, dealing with the lights is its only job. Even better, you don't have to hire a full-time lighting technician to ensure that the work is done on a timely basis. For lighting maintenance services that handle everything from routine bulb replacement to fixture repair and installation, just contact us. We'll ensure that when people come up to your business, they'll always see a bright and welcoming environment.